Is Climate Change Actually a Hoax? In the midst of the current political environment surrounding Trump’s presidency, the population of climate change deniers has been given unmerited attention. 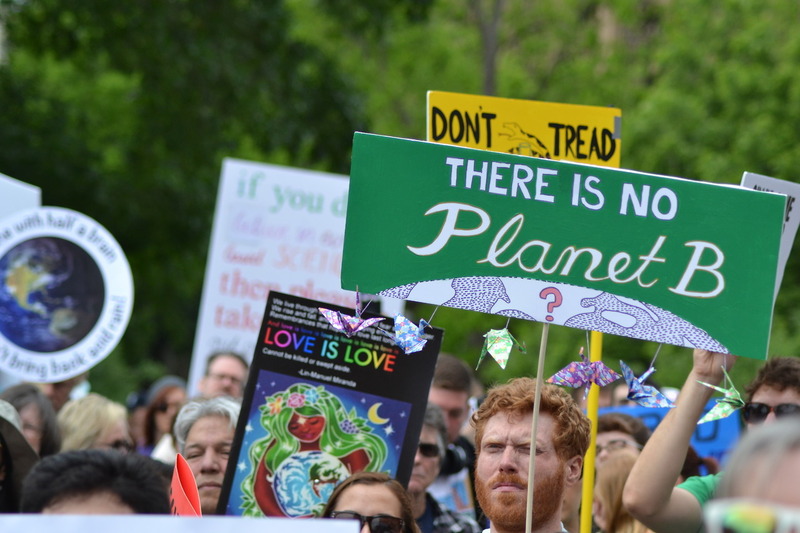 Those knowledgeable of the increases in Earth’s temperature have been struggling with the idea that someone—let alone an enormous crowd and the very president of our nation—could deny it in spite of clear, sufficient evidence. This evidence ranges from countries having catastrophic weather conditions all the way to dozens of species going extinct every 24 hours. Here’s how and why our planet is rapidly warming. We have all noticed our summers getting warmer and warmer yearly (2.0 °F/1.1 °C since the 19th century). 2016 has been the warmest year on record to date. This temperature increase is mainly due to rising levels of carbon dioxide (CO2) as well as other human-made emissions that increase the greenhouse effect. It is essential to clarify that we naturally live in a greenhouse, as life on Earth depends on the energy radiated from the sun, which is then trapped by natural gasses in our atmosphere, and later radiated back to space. However, the problem arises when this energy cannot be emitted back into space, as it’s trapped by a blanket of elevated levels of carbon dioxide. This elevation is caused by the burning of fossil fuels—such as coal and oil—that mixes carbon and oxygen, which then overloads our atmosphere. Other effects of excess levels of carbon dioxide include ocean acidification, and the weakening of the shells of marine animals, etc. Most scientists agree that the increased greenhouse effect is the main cause of the surface temperature rise on Earth. NASA’s comparison of atmospheric samples contained in ice cores with recent direct measurements. Graph provides evidence of elevated CO2 levels since Industrial Revolution. 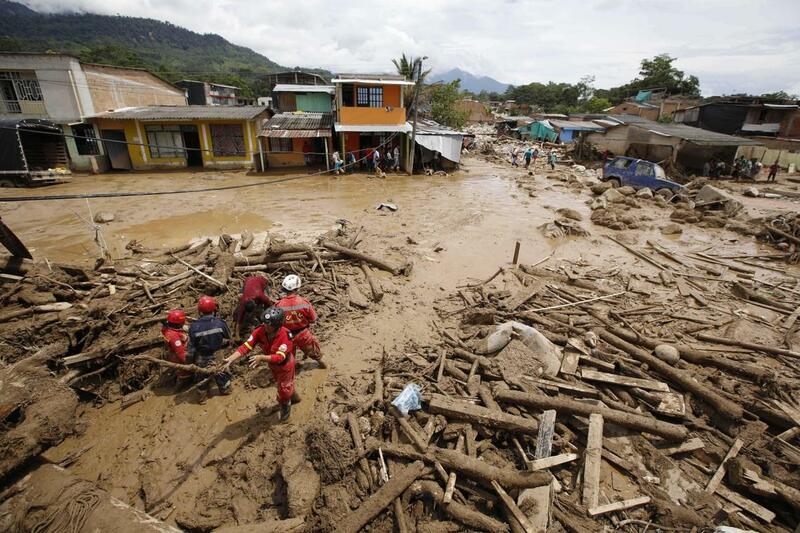 Catastrophic Colombian floods as a result of heavy rainfall. Extreme weather events are defined as events with unpredictable severe or unseasonal weather (e.g., heat waves, droughts, floods, tropical cyclones or hurricanes, etc). In the United States as well as all over the world, the number of extreme weather and climate events has increased since the 1950s. New and stronger evidence suggests that this increase is related to human activity. Some of the most catastrophic events include the prolonged severe drought in the early 1950s, extending throughout the central and southern United States (which exceeded temperatures of 100 °F/38 °C in some states and 117 °F/47 °C in others). In addition, there are the multiple hurricanes happening recently in the Atlantic Zone (Hurricane Katrina, Sandy, Wilma, Andrew, etc) causing thousands of fatalities; the flooding happening in Colombia, bearing a death toll of 275+, and other events. According to the National Snow and Ice Data Center, glacier retreat occurs when the terminus (lowest end of a glacier) does not reach the same endpoint as it previously did. This occurs when glaciers melt more quickly than snow can accumulate, which is caused by higher temperatures due to global warming. Muir Glacier, located in Alaska, photographed in 1941 (left), 1976 (middle), and 2004 (right). Pictures depict glacier retreat and rock exposure in 1976, which later became vegetation in 2004. A study on the of ice sheet mass balance (which is the balance between ice mass gained by snow deposition and the loss of mass by melting) showed that in a 20-year span (1992 to 2011), all of the polar regions except for East Antartica lost approximately 237 billion tons of ice per year. Multiple studies have shown that glacier retreat and shrinking ice sheets are both caused by higher temperatures on Earth due to climate change. Additionally, the shrinking of ice sheets is contributing to rapidly rising sea levels, which could severely affect people and wildlife. Despite multiple studies, scientists still find it difficult to predict the extinction rate due to climate change; they aren’t certain about the overall number of species existing today. However, predictions of extinction rate range from 0% to 54% of species. The main culprit is, of course, global warming. The way global warming affects the species varies depending on the habitat. For instance, some species may relocate—i.e., amphibians frequenting a pond may move to a different location, birds may find a more accommodating place to nest—and it’s all due to the effects of global warming. All of these and more are the proven effects that global warming is causing upon Earth. Nonetheless, there are hundreds of people out there who believe climate change to be a hoax. While we currently have a place to call home, if climate change deniers insist on decrying these signs, and continue to pollute the Earth at our current rate, we will not have it for much longer. Zarella Berr was born in Lima, Peru and is currently a sophomore at The University of Florida. She is pursuing a degree in Biological Engineering. Zarella is also preparing for further education in the medical field. Outside of school, she really enjoys traveling, exploring, reading and writing.